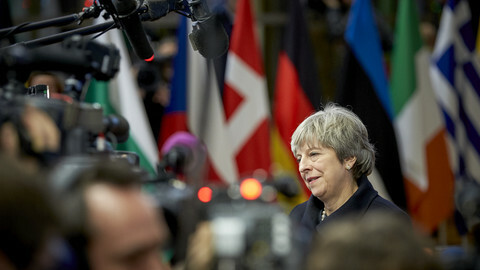 British prime minister Theresa May said on Friday (2 March) she wants the "deepest and broadest possible" Brexit deal with the EU in a highly-anticipated speech on the EU-UK future relationship, but which was still vague in significant areas. It was the third, and most detailed speech of the British prime minister on the "hard facts" of Brexit, almost a year after she triggered the process of leaving the bloc. May acknowledged that life outside the EU will be different for the UK, and access to European markets will be reduced, as it will leave the customs union and the single market. But she refused the notion that Britain cannot have different levels of access to the EU's single market while not respecting all four freedoms that underpin it, arguing that is the basis of every free trade agreement. "Every free trade agreement has varying market access depending on the respective interests of the country involved. If this is cherry-picking, then every trade agreement is cherry-picking," May said, hitting back at EU officials who tell the UK government that it cannot have the level of access it has now while not taking on the obligations stemming from the internal market. May reiterated that the UK wants a bespoke deal. 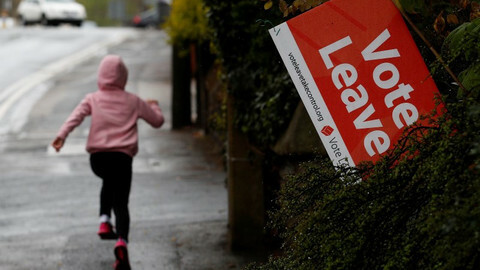 She said that Britain would not accept the rights of the EU's free trade deal with Canada and the obligations of Norway, which is a member of the European Economic Area, which has to apply most EU rules without having a saying them. "So we need to strike a new balance," she said. She pointed out that EU also wants unprecedented access to the UK's market in a tailored fashion in some areas, like fisheries. May said that while some European Court of Justice (ECJ) decisions will still have an affect on the UK, the future free trade deal will have to have its own independent arbitration mechanism to resolve any disagreements. 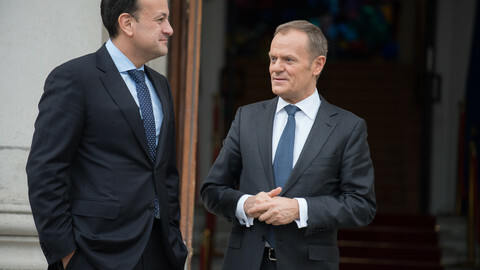 On the issue of the Irish border that this week threatened to derail Brexit negotiations for the second time, May hit a constructive tone, but shared no new ideas on how to avoid a hard border on the island of Ireland. "We don't want to go back to a hard border in Ireland. We have ruled out any physical infrastructure at the border, or any related checks and controls," she told an audience at London's Mansion House. 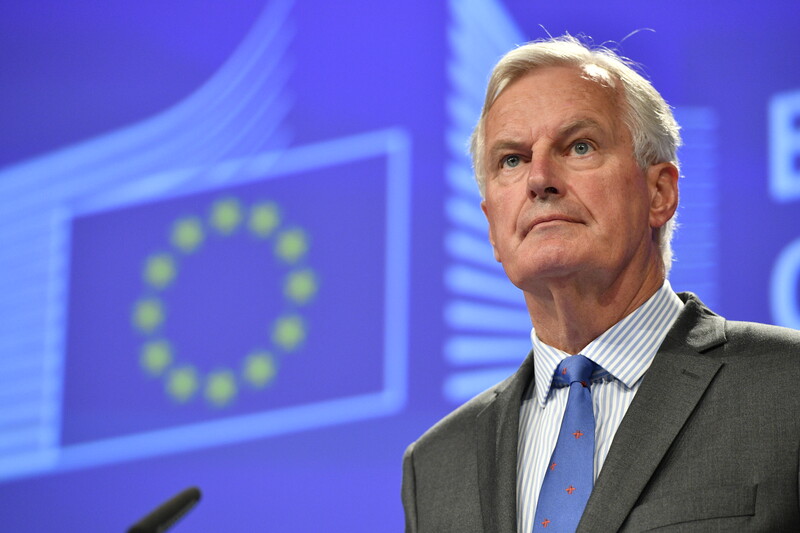 The EU suggested this week that without a broader agreement with the UK on customs, Northern Ireland should follow EU rules and practically remain part of the customs union to avoid hard border. May called the EU's proposal unacceptable. She reiterated in her speech that Brexit cannot create a border in the Irish Sea between parts of the UK. On trade May said that the UK-EU border should be "as frictionless as possible", adding London does not want to see the introduction of any tariffs or quotas. She proposed having a "comprehensive system of mutual recognition", meaning EU and UK regulatory standards will remain substantially similar. 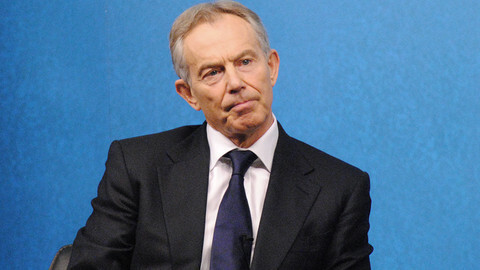 However, she said it would be achieved by having separate UK laws, something the EU has objected to. 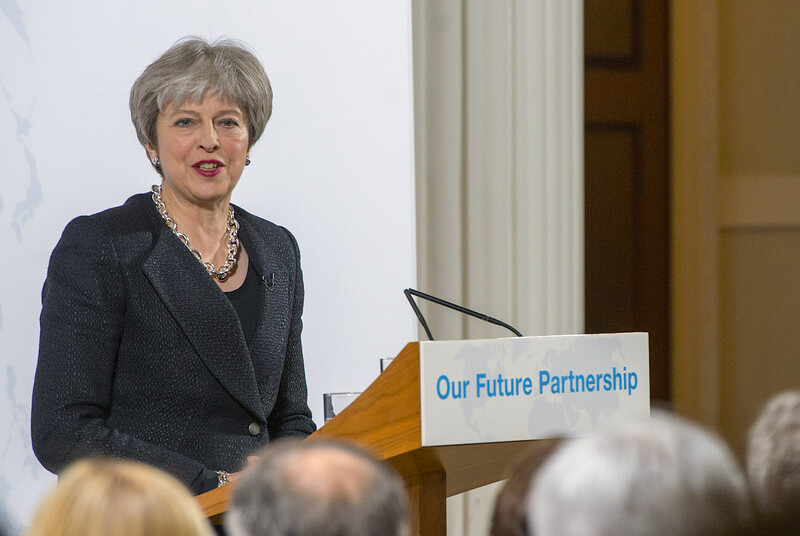 May reiterated earlier proposals on a customs partnership between the UK and the UK, sharing the same tariffs and the same rules of origin as the EU, for those goods arriving in the UK and intended for the EU. Therefore there would be no need for a customs process at UK-EU borders, but the UK would also be able to apply its own tariffs and trade policy for goods intended for the UK market, she argued. Another option she had already set out: a highly streamlined customs arrangement would see both sides implementing measures to minimise friction to trade, and allow Northern Ireland's small and medium sized businesses, that do 80 percent of the trade on the island of Ireland, to continue without restrictions. 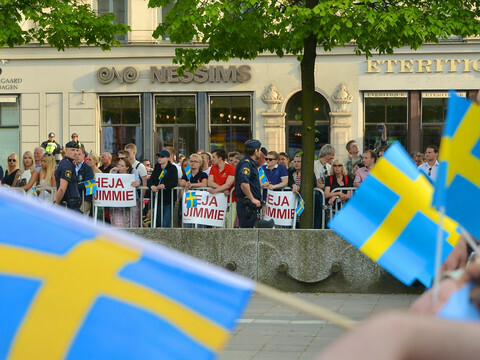 Those suggestions have been already dismissed by EU officials as unrealistic. May also pledged that Britain would not try to undercut the EU in areas such as regulation and state aid, an important promise for many EU countries who feared the UK would turn into a low-tax, low-regulation haven just next door. 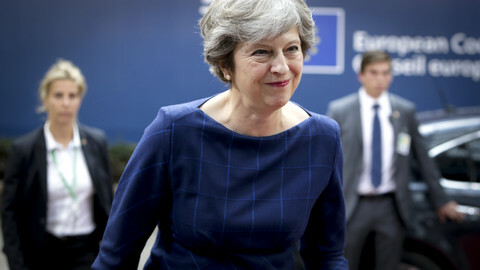 The prime minister said she wanted the UK to remain in the the European Medicines Agency, the European Chemicals Agency, and the European Aviation Safety Agency. In clear contrast to chief EU negotiator Michel Barnier who earlier this week warned that there are significant differences between the UK and the EU position on the transition period after Brexit, May said those differences can be resolved in a matter of days. She also said "we are in the process" of turning the agreement of the terms of divorce achieved last December agreement into draft legal text . It was unclear whether May meant that the UK will have its own proposals based on the political deal. The commission earlier in the week unveiled the draft legal text that was criticised by May for suggesting to align Northern Ireland's regulations on goods with the EU's. EU officials have been urging May to make it clear what sort of future relationship her government wants after Brexit, as EU leaders are set to agree on guidelines for negotiating that future tie at the end of March. In Brussels, officials are likely to welcome the constructive tone and some of the hard facts laid out in May's speech, which lacked details the EU has been looking for. 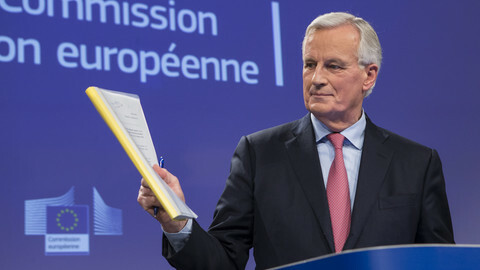 Michel Barnier said in a tweet that he welcomed May's speech, adding the "clarity" on the UK leaving the single market and the customs union will guide leaders in their decision later in March.